Meet Our BranDD AmbassaDDor: Taylor from University of Rhode Island! Hey everyone! My name is Taylor and I am a Senior at the University of Rhode Island (URI). 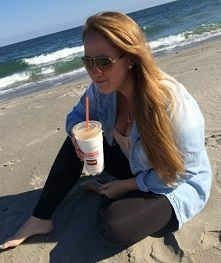 I am Rhode Island born and bred; having grown up in Newport, RI with a Dunkin’ Donuts around every corner! I chose URI because I have a lot of family Alumni, and I also fell in love with the location; the fall is beautiful and in the warm weather the beach is nearby! I will be graduating this May with a degree in Public Relations and a double minor in Leadership and Communications studies. As for my career after college, I am seeking to be in a position where my people and leadership skills can be used to guide others. Even if I could go back in time, I would not change my decision to come to URI. The resources, organizations, academics, and opportunities that are available to students here at “Rhody” have enhanced my college experience more than I could ever imagine. Not to mention that it brought me to this opportunity, repping my favorite coffee brand to college students across my campus! Being a BranDD AmbassaDDor has been a lot of fun so far! The position has allowed me to maximize existing relationships and networks for effective marketing, and has introduced me to so many more! 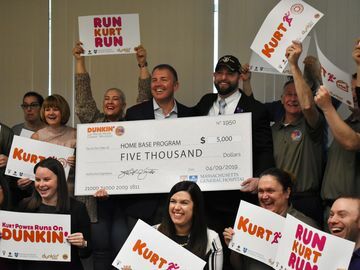 For the DDance for Dark Roast campaign, I partnered with a local entertainment group and Dunkin’ franchisees to put on an event encouraging Rhody to show off its dance moves. I also have an upcoming promotion partnership with our campus entertainment venue – The Ryan Center – to promote both the DD Perks® program and upcoming entertainment events on campus. 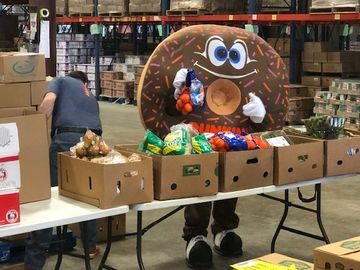 The best thing about being a BranDD AmabassaDDor for Dunkin’ Donuts is the ability to partner with organizations and departments across campus. There are so many opportunities available, and through social media and hosting events, I am able to build a real brand relationship with college students. In the upcoming weeks, I will be having tabling events, going to organization meetings to promote DD Perks, working with the Ryan Center for entertainment and athletic events, and promoting our Instagram and Twitter Halloween #dresseDD contest; where fans can post photos of their Dunkin’ Donuts cups cloaked in their best Halloween costume for the chance to win a $100 Dunkin’ mGift! For additional terms and conditions related to Dunkin’ Donuts’ #dresseDD Coffee Cup Costume Contest, visit: http://dun.kn/10ibhR7. 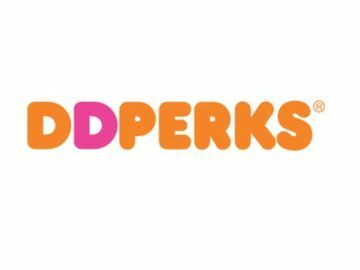 In the meantime, be sure to follow my RhoDDy experience on Instagram @rhodyrep; and for you Rhode Islander’s out there follow @DDpvd on Twitter for local Dunkin’ updates! *Are you a current student that is looking to join our BranDD AmbassaDDor roster in the future ? 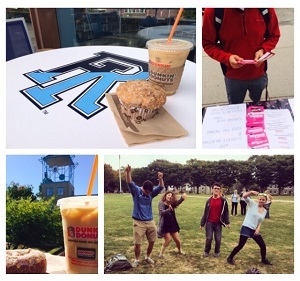 Drop us a note (dunkincollege@gmail.com) to let us know where you go to school and why you should be our rep!